Niagara Springs Hatchery is located in the Hagerman Valley of southern Idaho. It was constructed by Idaho Power in 1966 to serve as a rearing facility for steelhead. With a capacity to rear nearly two million steelhead smolts annually, it is one of America’s largest privately-owned steelhead rearing facilities. In 2013, Idaho Power completed a two-year renovation of Niagara Springs Hatchery. The project included construction of a 23,000-square-foot rearing facility, modern water filtration system, improved feeding apparatus and predator exclusion equipment. An observation room allows visitors to get a good look at the operation. Special windows and modern lighting, designed in consultation with University of Idaho experts, will mimic natural daylight for the young fish. 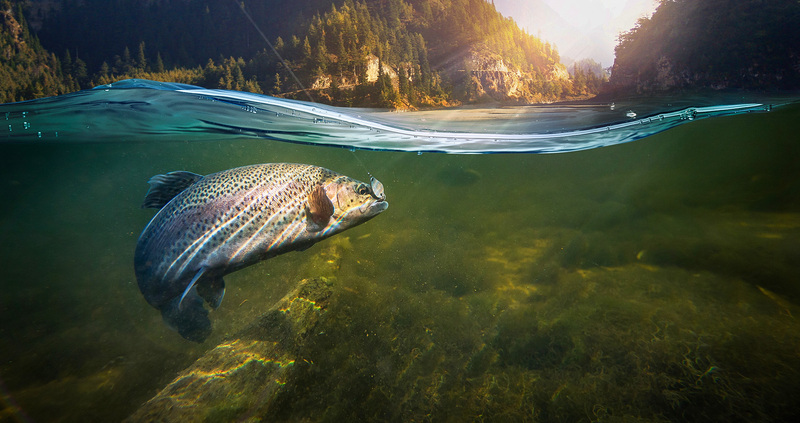 Named after the spring that feeds it, the hatchery’s water is clean, clear and, most importantly, warmer than that in which naturally spawned steelhead grow up. This ideal environment allows the fish to achieve the equivalent of two years growth in just one year’s time. Eggs arrive here each May from adult steelhead spawned by crews at Idaho Power hatcheries in the Snake and Salmon river basins. In March of the following year, crews begin hauling the year-old fish back to the Snake, Little Salmon, and Pahsimeroi rivers, where they will begin a more than 500-mile journey to the ocean. The spring fish haul takes about six weeks. Niagara Springs Hatchery has proven to be a tremendous asset in the rearing of steelhead. In the wild, less than 5 percent of the eggs hatch and survive to migrate to the ocean. At Niagara Springs Hatchery, more than 80 percent of the eggs received from Pahsimeroi and Oxbow hatcheries survive to make their ocean journey. Visitors are welcome at the hatchery. Groups are advised to call 208-536-2283 in advance. Niagara Springs Hatchery is owned and financed by Idaho Power and operated and staffed by the Idaho Department of Fish and Game. Visit the hatchery or find more information about it at the Idaho Department of Fish and Game’s website.